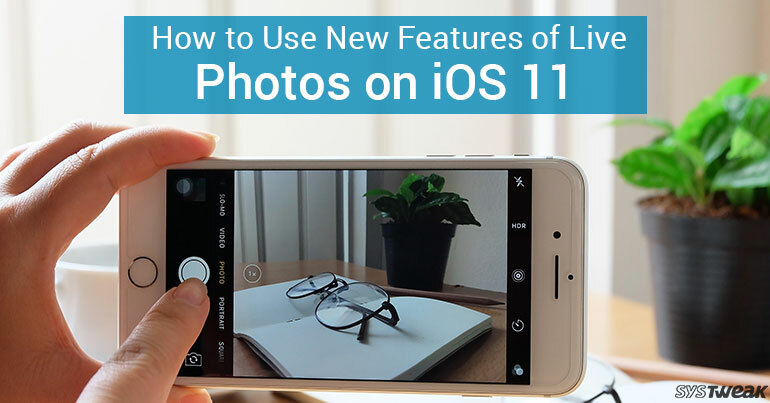 Live Photos On iOS 11: All New Features Explained! Live Photos is a feature found in iPhone 6S and later. The idea behind launching this feature was to make your photos better by avoiding accidental blinks and allows you to capture shots that you might miss by a fraction of second. It gives you fine finished final photograph. iOS 11 update added some more features to it which makes this feature more fun. Live photos are basically short videos from which iPhone extracts the best stills for you. With iOS 11 you will now get some new options to edit Live Photos. Now you can change key photo. For this tap on edit button given at the bottom and tap on a photo it will give you an option to make it Key photo. As we have discussed earlier Live Photos are frames of a small video clip and when you will press long on a live photo you will see it as a small video or animation. You can also trim down this video clip if you think that something extra is included in it or if it is unnecessarily long. To trim down the video you can tap on edit option given at the bottom and that drag the seekbar to adjust the length of live photo. Tap on done once you are done with editing. From iOS11 onwards you can convert your Live Photos is continuous running loop. To apply loop effect to your live photo open it and then swipe up you will see an option Loop tap on it and your Live photo will be converted to loop. Bounce effect analyze your live photo and pick up the best start and stop point then it creates an animation which plays forward and then reverse. The major difference between loop and the bounce is that loop only run forward and bounce forward and then reverse. To create a bounce effect, swipe the live photo up and then Select bounce from the given options. Long exposure photography is the best to capture running water or car lights. This time apple has added a feature to capture long exposure shots with Live Photos. From the swipe up menu you can also choose Long exposer to make your live photo a long exposure image. If you are intended to capture a long exposure image then you should keep your device stable because even a slightest shaking can ruin your shot. Long exposure is the fourth option in the swipe up menu of Live Photos. This is how Live Photos are now more alive on the new iOS 11. Try out these features to click stunning photos and to amaze your friends with Loop and bounce animations.